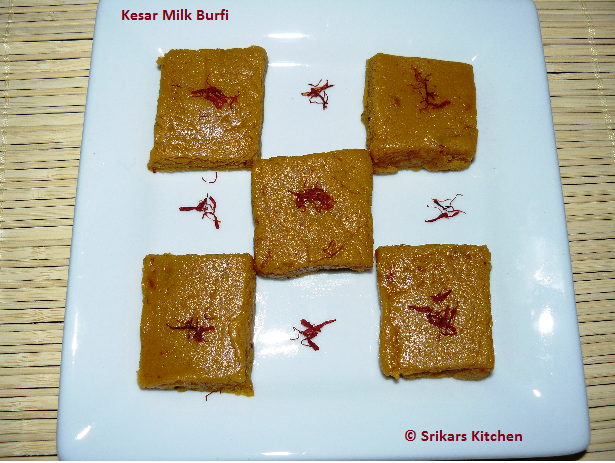 Kesar Milk Burfi - Simple and Rich barfi and Easy to make. Take a kadai, add mawa, sugar and mix well. Simmer on a very low heat. 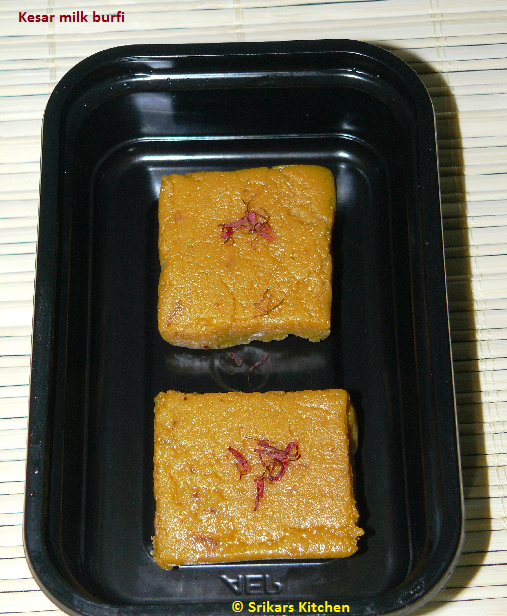 Soak the saffron in hot milk & Add saffron & mix well. Cook until it doesn't stick to the pan .& grease the ghee in a plate. Add barfi to the greased plate. Allow to cool & make the small pieces.